Tacubaya is a modern restaurant offering Mexican cuisine. The average price of a 3-course meal at the Tacubaya restaurant is 25 euros. Note that although GoMadrid.com strives to maintain all information about Tacubaya up to date, the prices mentioned are only an indication and may not reflect the exact value of your meal. Tacubaya is situated in the district of Arguelles, and offers traditional yet sophisticated Mexican cuisine in a modern and lively environment. The menu isn't extensive, but it is complemented by a number of dishes of the day. 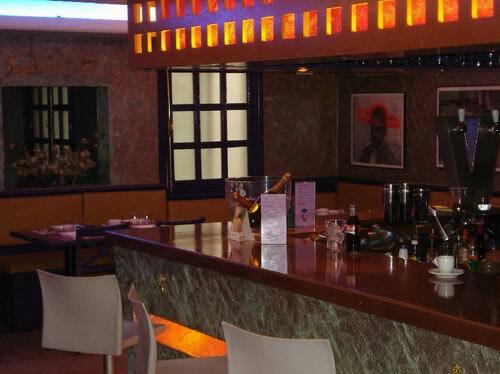 There is also the possibility of enjoying champagnes, tequilas and beers at the bar. The address of the Tacubaya restaurant is: Ferraz 9, 28008 Madrid. The nearest Metro station is Ventura Rodríguez. Please see the Tacubaya restaurant location map below.